We’ve just come across an intriguing video showing the Nokia Lumia 930 S that shows a pretty striking design. If you’re wondering why you haven’t yet heard of this phone, it’s because unfortunately this is a concept idea. We’re showing you the Nokia Lumia 930S with sWIPe feature and want you to make a design decision. From time to time we like to peruse concept designs for various smartphones and tablets, as they can be an excellent way of imagining what may come with future devices. Recently for instance, we saw a Nokia Lumia 1025 concept, a beautiful phablet-style device. As Nokia is rumored to have a phablet smartphone on the way, this gave an interesting take on what it could offer. This latest concept idea shows a phone dubbed the Nokia Lumia 930 S and comes from designers Omar Pirela, Dario Giannash and Il Matti. You can see a short YouTube video below this story that shows off a very sleek-looking device, with the obvious standout feature being a slide button. We’re not sure how this swipe action would go down with customers, but it certainly offers something a little different to the usual Lumia handsets. One touch with this design that we really liked is the curved glass on the front panel of the device. Another spot that we managed from the video was a dual-LED flash, but unlike many other concepts the designer of this one has not provided further specs. 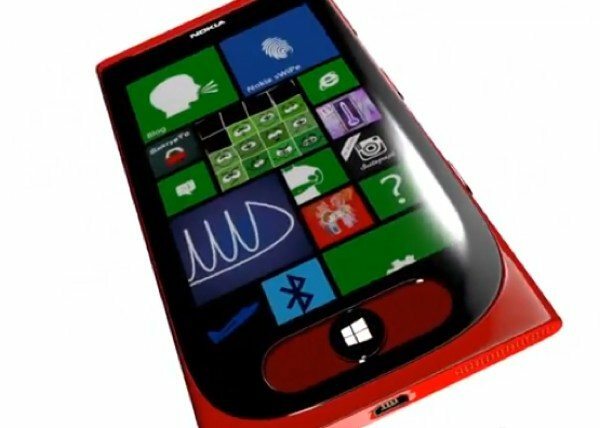 Now we’d like to hear your thoughts on this concept Nokia Lumia device. Do you like the concept design shown here for the Nokia Lumia 930 S? What are your thoughts on the sliding button feature? Would you like to see a design like this come to fruition for a forthcoming Lumia smartphone?